The keymaster p.o.v. helmet rig is a versatile camera platform intended to be worn by the camera operator or actor. 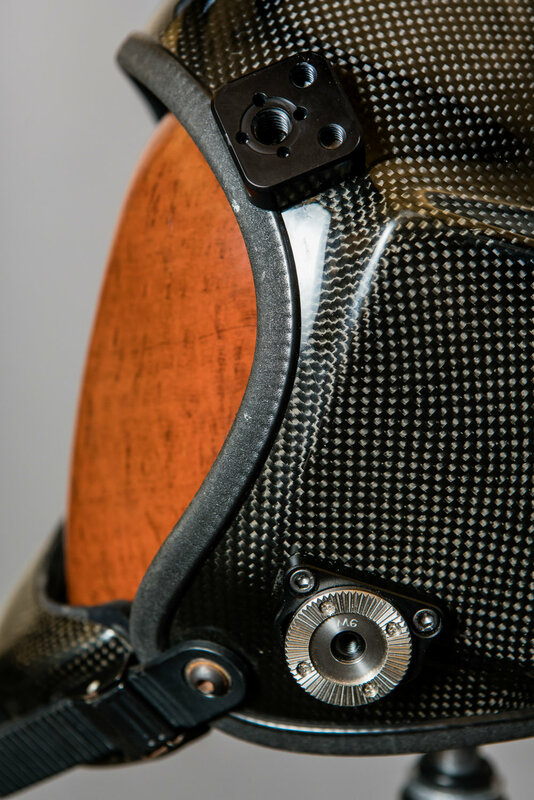 The helmet itself includes a variety of mounting points as well as a gold mount battery plate for power distribution. It can comfortably fit most average size heads and comes complete with a full accessory kit of rods and brackets to mount any camera in any position. The Anton Bauer gold mount plate at the rear of the helmet allows not only for system power for camera and accessories, but also for critical camera counterweight. 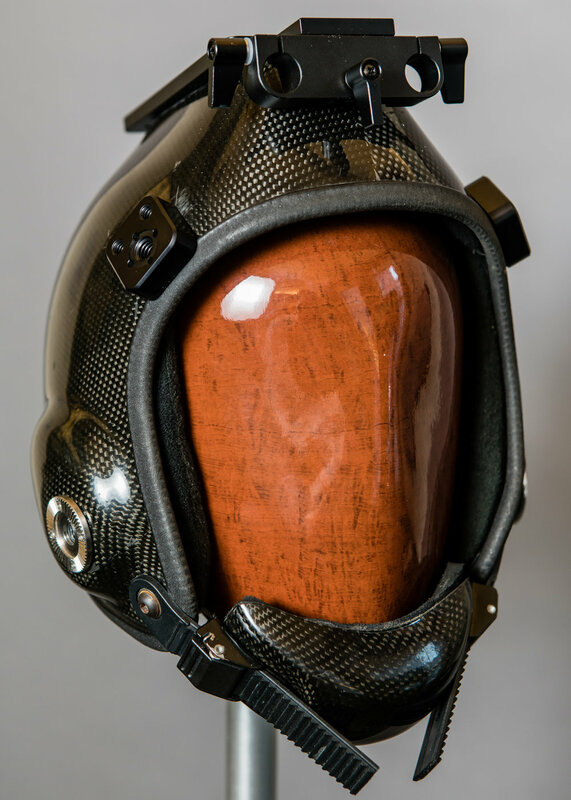 This allows larger more complete rigs to hang off the front of the helmet and maintains the ability for fluid, natural movement by the operator. Standard 6mm Arri rosettes on either cheek of the helmet act as convenient mounts to extend rods forward, but can also be utilized to attach hand grips if additional support from the operator's arms is desired. The helmet's upper cheese-plate has a variety of uses: a flat surface for Velcroing your MDR, a bolt-through plate to attach a top-mounted camera, or an additional location to fasten a 2nd battery plate (using the integrated hole pattern). Another crucial feature is the forward facing 15mm lightweight-standard top bracket. Match this up with your camera's baseplate/top-plate and easily position even Alexa Mini or Red DSMC bodies in front of the operator's p.o.v. 1 x 9" Aluminum "cheese-rod"
Additional misc. hardware, camera screws, m3 screws, tools, etc.